The Sandhurst EMP-DSK999 is a high quality executive desk from the luxurious Sandhurst office furniture range. Sandhurst desks blend high quality materials with intelligent design and robust construction creating stunning office desks which are sure to stand the test of time. The Sandhurst EMP-DSK999 is available in a choice of real wood veneer finishes, please click the alternative images below the main product image to view the available finish options. 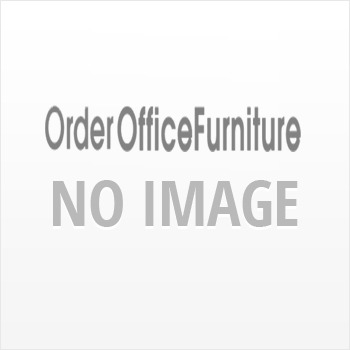 In addition to desks Sandhurst also manufacture matching filing cabinets, bookcases, seating and meeting room furniture. The Sandhurst EMP-DSK999 is a stunning looking desk, the ultra chunky panels combined with the faux leather detailing gives the desk a look and feel of sheer quality. The clean lines and timeless styling means the Sandhurst executive desk is equally suited to both commercial and home offices, and both modern and traditional offices. Sandhurst have designed the executive desk to be functional also, a specially designed writing pad and cable management ports have been included in the chunky desk top. The desk is supplied with a three drawer pedestal and also a 1.6m desk return, these two units provide a wide variety of storage options. The Sandhurst EMP-DSK999 executive office desk is supplied with a mobile drawer pedestal with lockable drawers, these feature a smooth handle free design, the lack of protruding handles reduces the risk of injury when moving around the desk. The Sandhurst desk is also supplied with a desk return measuring 1.6m in width. The return is made up of a PC compartment, a separate storage cupboard, sliding keyboard tray and drawers, providing ample storage for the needs of most home and commercial offices.